Hello And Welcome To Millionvisitars, Here we gonna learn how to make mango mush for that we need ingredients as follows. Firstly take a pulp and blend it till it gets smooth. 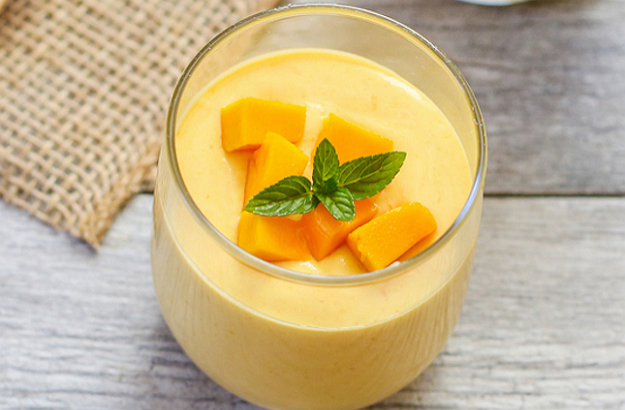 Take it out in a bowl then in that add condensed milk, mango essence, and fresh cream mix them very well. Kept in the fridge to cool, after that take it out in a bowl or in a glass and garnish it with some mint leaves.